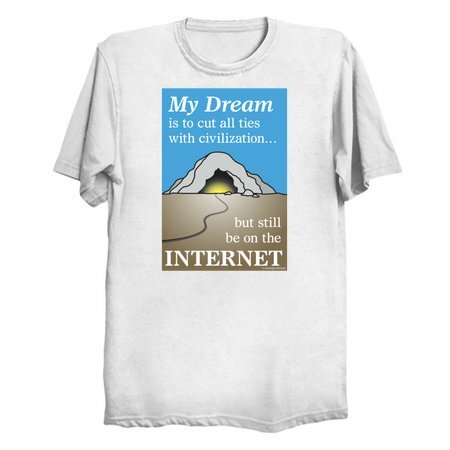 If you rather deal with avatars then neighbors, then head on over to the nearest Internet-enabled cave (in this T-shirt of course). But wherever you are, make sure you read Neatorama daily! 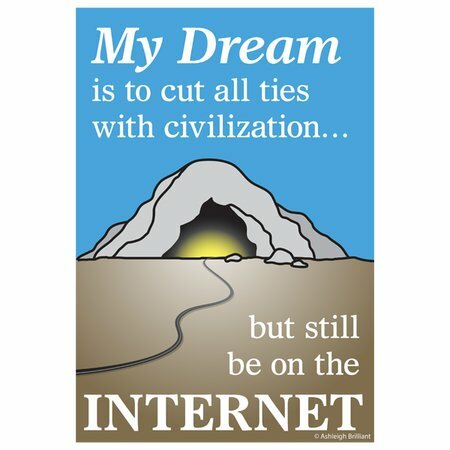 "My Dream is to Cut All Ties with Civilization but Still be on the Internet" ©Ashleigh Brilliant.